We don’t like to be beside the seaside. A second defeat of the season to the Brighton hauls the Hammers right back into the relegation mix. This was as terrible a West Ham performance as those we had to endure in the early part of the season. Although some allowance can be made for the perennial long injury list it was worrying that the resolve, spirit and determination that had developed since the appointment of David Moyes was nowhere to be seen yesterday. West Ham were disjointed, lacked cohesion and once again the defensive/ central midfield offered little or nothing; allowing Brighton through at will and providing no springboard to launch ou own attacks. If the best we have in that area of the field for the remainder of the season is a mix of Noble, Zabaleta and Kouyate then I would be very worried. The inability to fill this long standing and well known gap in the squad, particularly following the injury to Pedro Obiang, could be a disaster that is paid for with the ultimate Premier League price. I was very surprised to hear an unchanged team announced for the start of the game. It may have been a spirited performance and comeback against Palace but there now appeared more options available to supplement what had been regarded as a scratch side. Perhaps there was an element of caution in not wanting to bring players back too quickly but it backfired badly. Brighton played OK but as usual West Ham were the architects of their own downfall. The first goal was a great example with the ball given away cheaply in attack, Aaron Cresswell more interested presumably on revenge, for an earlier hand in the face, committed an unnecessary and reckless challenge, the midfield had gone missing and the back three were all over the place in allowing Murray all the room in the world to score. Cresswell did, at least, look a threat going forward and either side of a fine goal by Javier Herandez, set up presentable chances for Sam Byram (twice) and Joao Mario. In fact, with the scores level at half time, and with Brighton’s early energy levels dropping, I was still quietly confident that the Hammers would be able to take something from the game. Any half time confidence was quickly dissolved by an insipid second half performance in which the Hammers managed to go through the whole forty-five minutes without bothering the Brighton keeper once. No changes were made at half time in an attempt to seize the initiative and as the game developed it was no surprise when Brighton regained the advantage. Despite it being a stunning strike by Izquierdo, he was again given far too much time and space to work out his necessary angles and trajectories. West Ham had managed to scrape back into the game in the first half with a goal out of the blue but this time there was no way back. Gross, the best player on the field, capped an influential display with a third after a poor James Collins clearance. 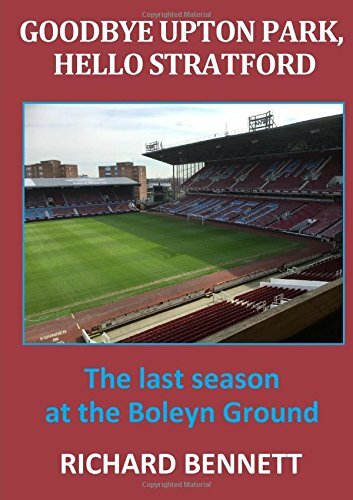 By then the Hammers were in complete disarray and it could well have been a more emphatic defeat. Michail Antonio was eventually thrown on (but did little of note) and Jordan Hugill was given no time at all to make an impact. No doubt that the goal by Hernandez was an excellent piece of opportunist finishing. It was typical Little Pea but other than that he contributed little to the overall play. The dilemma is how to incorporate such a player while attempting to build a modern team ethos in which everyone works for each other. How many goals would he need to score before his limitations in a tight team formation became acceptable? I don’t believe he is really suited to the style of football that most Premier League teams now play. Not that Hernandez was stand-out poor in comparison with the rest of the team. If I was giving ratings the only players worth more than a 4 would have been Mario and Adrian. Having been pleasantly surprised by the improvement in Mark Noble’s performance and leadership in recent weeks he was back to his frustratingly slow sideways and backwards worst yesterday. West Ham are now in the middle of the run of games that were meant to guarantee their safety before the fixtures became stickier against the bigger clubs from April onwards. A return of two points from games against Bournemouth, Palace and Brighton is way below what I expected. West Ham sit just three points above the relegation places and although maintaining an average of a point per game may be enough there are still some tough games to come. There needs to be a huge improvement over the next few weeks coinciding, hopefully, with the return of Arnautovic and Lanzini. Unfortunately, we will not see Obiang again this season and with that weakness in central midfield I can’t, at times, help but fear the worst. Previous Previous post: West Ham To Continue Their Unbeaten Start To The Year At Brighton? Next Next post: Can West Ham close the Watford Gap?